"My experience was fantastic. Dr. Kasthuri took the time to explain all questions." "Dr. Kasthuri and his medical team are the best medical team I have ever experienced." "I am happy to recommend Dr. Kasthuri and all of his highly trained caring staff." "Dr. Kasthuri gave me my life back "
"Dr. Kasthuri and his staff make you feel relaxed and comfortable each and every visit." "I have been really impressed with Dr. Kasthuri and his entire staff"
Saravanan Kasthuri, MD, serves as medical director at Northwest Endovascular Surgery in Richland, Washington. Board certified in interventional radiology, Dr. Kasthuri specializes in minimally invasive, image-guided endovascular surgery for patients with cancer and vascular conditions. Dr. Kasthuri pursued his medical degree at Coimbatore Medical College and Lokmanya Tilak Municipal Medical College. After graduation, he interned at Nassau County Medical Center in New York. In 2000, Dr. Kasthuri completed his radiology residency at the University of Tennessee. In 2001, he earned a fellowship in vascular and interventional radiology at the University of Alabama at Birmingham. Dr. Kasthuri maintains memberships with the Radiological Society of North America, American College of Radiology, Society of Interventional Radiology, American Medical Association, and Washington State Medical Association. Dr. Kasthuri minimizes risk, damage, and downtime for his patients with minimally invasive surgeries and advanced imaging techniques, often on an outpatient basis. Using only needles and catheter tubes, he can treat specific cancers, heal spine fractures, and much more. In his free time, Dr. Kasthuri enjoys spending quality time with his family and riding his bike. You might also find him jogging with his Labradoodle along the Columbia River. Our facility has a parking lot designated for our patients and wheelchair accessibility with glass doors that lead right to our reception area. 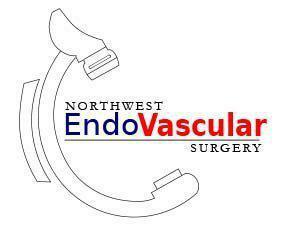 At Northwest Endovascular Surgery, we accept most major insurance plans. Here is a short-list of some of the most popular plans we accept. Please contact our office if you do not see your insurance provider listed. "The service Dr. Kasthuri and his staff gave me was by far the best I have ever experienced. I am very happy with the results of my procedure!" "I would highly recommend this Dr. Kasthuri., he is one of the most caring and the most skilled doctors I know. " "His practice is a model for how medicine can actually be patient centered. I am happy to recommend Dr. Kasthuri and all of his highly trained caring staff." "My experience was fantastic. Dr. Kasthuri explained all procedures and took the time to answer all my questions"
"Dr. Kasturi and his staff are very compassionate, caring people who want the best for their patients. We would highly recommend Dr. Kashturi to others." "My mom received great, attentive care and we will gladly return for follow up care and any other procedures necessary in the journey of stage 4 breast cancer." "The Dr. told me at my first visit that he would take good care of me, and he kept his word." "We highly recommend Dr. Kasthuri to all that are searching for the right doctor." "Dr. Kasthuri and his medical team are by far the best medical team I have ever experienced."